We really enjoyed this hotel and the little town of Port Stanley. Port Stanley is a great spot for a weekend getaway. It is a bit old and tired looking. Needs some updates. But very good rate. Also I want to commend the property manager for jumping into action and finding staff to make breakfast when staffers called in sick. Where to find Port Stanley hotels near an airport? Where can I find hotels in Port Stanley that are near tourist attractions? It's recommended you book early as there are very few Expedia-registered accommodation options within easy driving distance of the heart of Port Stanley. Although Port Stanley can't boast to having a wide array of hotels and apartments right near the heart of the downtown area, Kettle Creek Inn is close enough to satisfy most visitors. 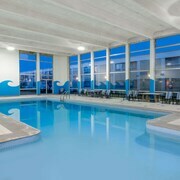 You could also check out the Homewood Suites London Ontario and the Staybridge Suites London. 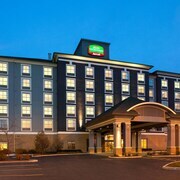 The Homewood Suites London Ontario can be found 30 kilometres (18 miles) away from the heart of Port Stanley. The Staybridge Suites London, is positioned 30 kilometres (18 miles) away. If you'd prefer, you could check out the amenities and rates at the Four Points by Sheraton London or the Courtyard by Marriott London. Looking to venture a little further afield? Southern Ontario offers a number of things to see. Investigate Southern Ontario's traditional villages, churches and art museums and also photograph the area's beaches, coastal plains and forests. In this region of Canada travelers can also enjoy skiing and cross-country skiing. The nearest places to spend the night in London include St. Thomas and Woodstock. St. Thomas is 12 kilometres (8 miles) to the north of Port Stanley, while Woodstock is 65 kilometres (40 miles) to the northeast. 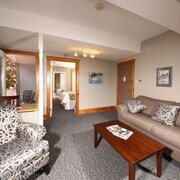 St. Thomas hotels include the Comfort Inn St Thomas and Sunnybrook Farm Garden-level Guest Suite. 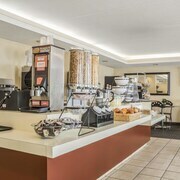 While apartments and hotels include the Holiday Inn Express Hotel & Suites Woodstock South and Quality Hotel and Suites Woodstock. If enjoying sport is a favourite pastime, be sure to visit RBC Centre, which is 100 kilometres (61 miles) to the west of Port Stanley. Book accommodation near the action at the Fauld's Motel or the The Gables inn. London International Airport is a logical airport for accessing Port Stanley. It is 40 kilometres (25 miles) drive away. 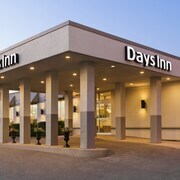 If you choose to stay nearby, try the Knights Inn London Airport or Maple Glen Motel. What are the most popular Port Stanley hotels? Are there hotels in other cities near Port Stanley? 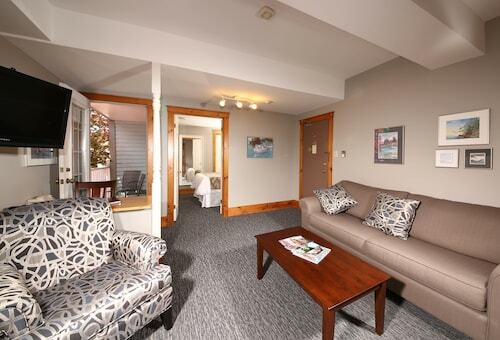 What other types of accommodations are available in Port Stanley? Explore Port Stanley with Expedia.ca’s Travel Guides to find the best flights, cars, holiday packages and more!